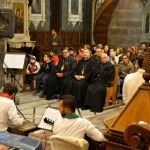 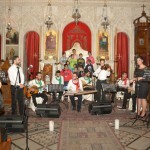 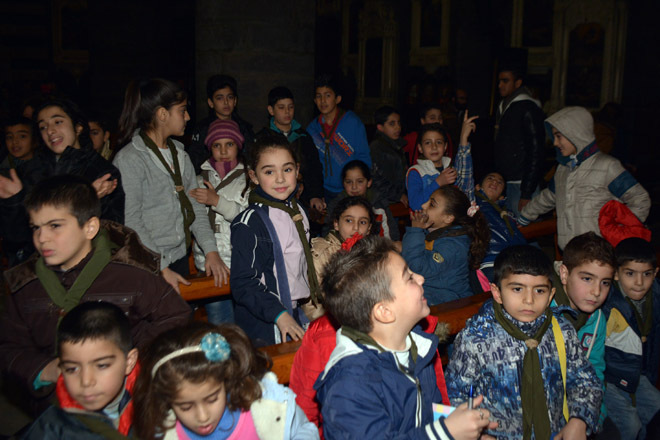 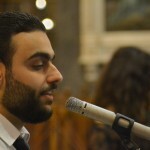 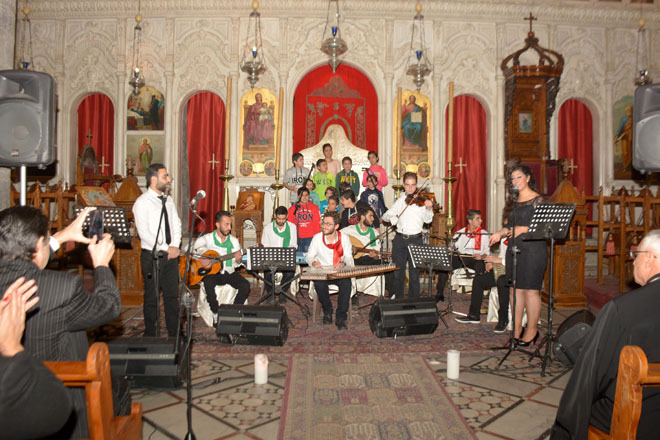 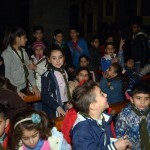 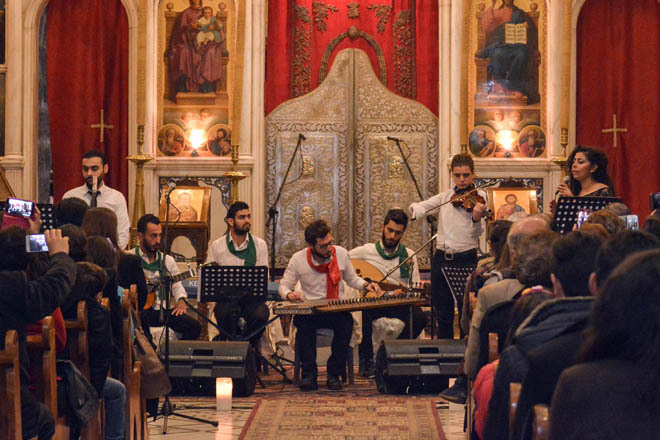 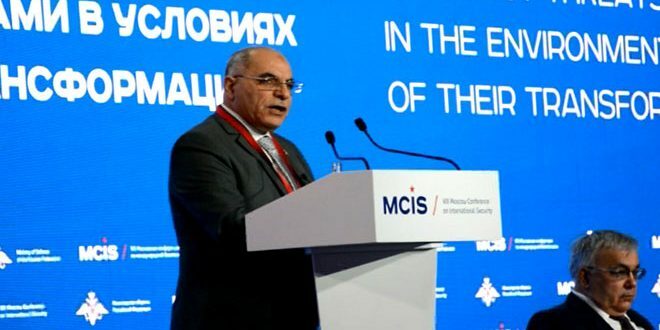 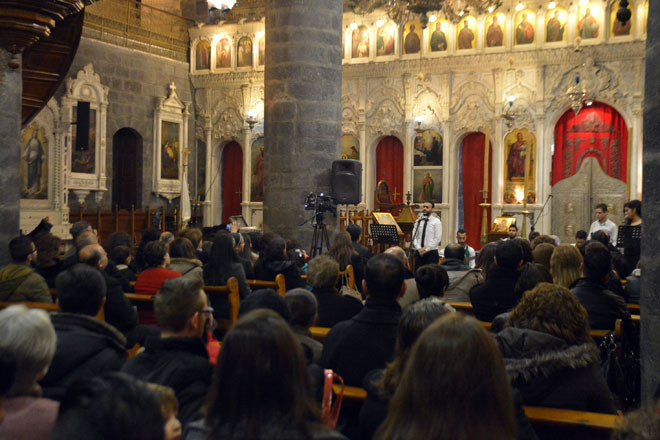 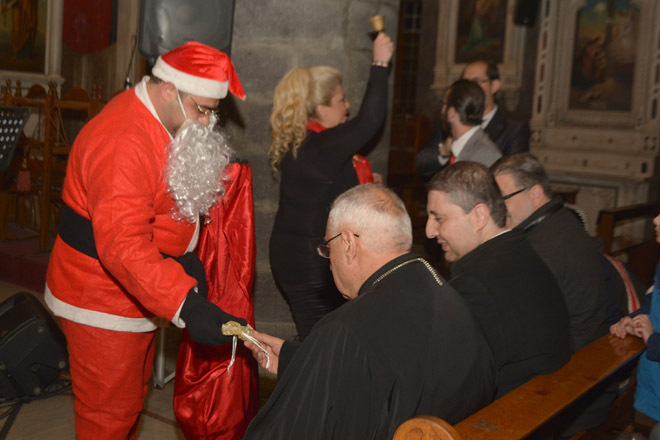 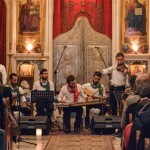 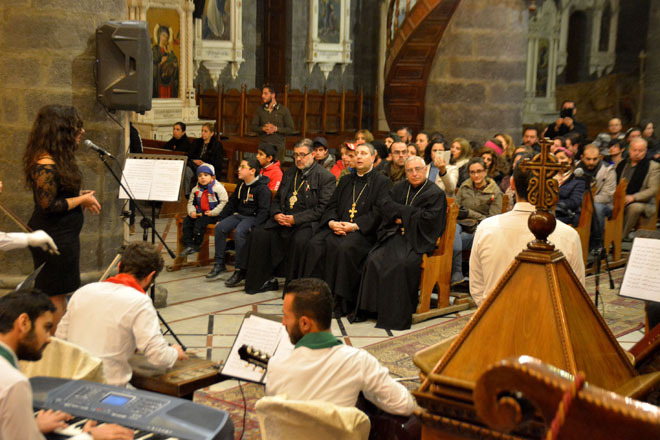 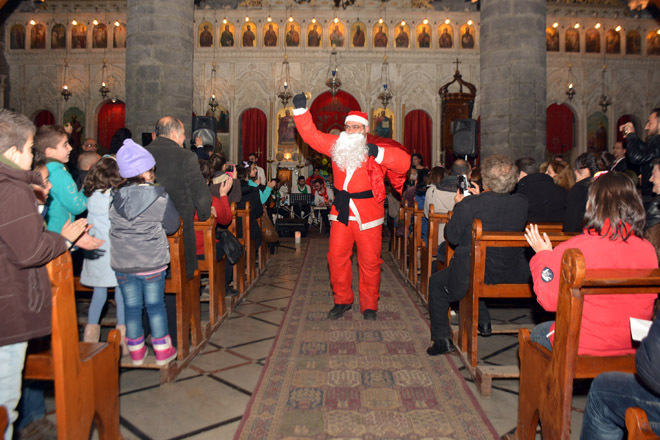 Damascus, SANA – The Syriac Orthodox Patriarchate of Antioch and All East organized a Christmas festivity titled “A Tale of Peace” on Friday evening at Lady of Dormition Cathedral in al-Zaitoun neighborhood in Damascus city. 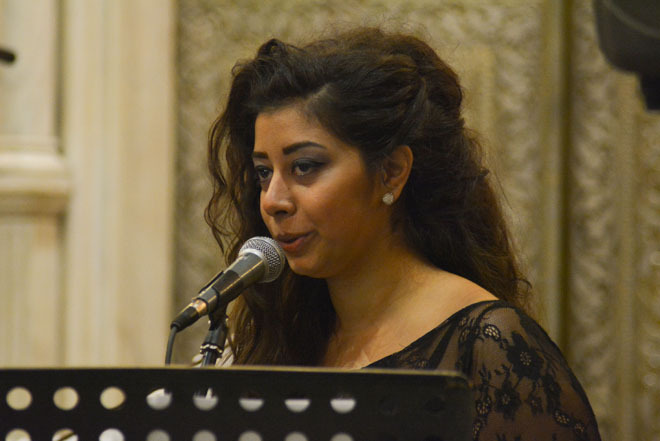 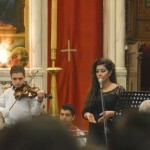 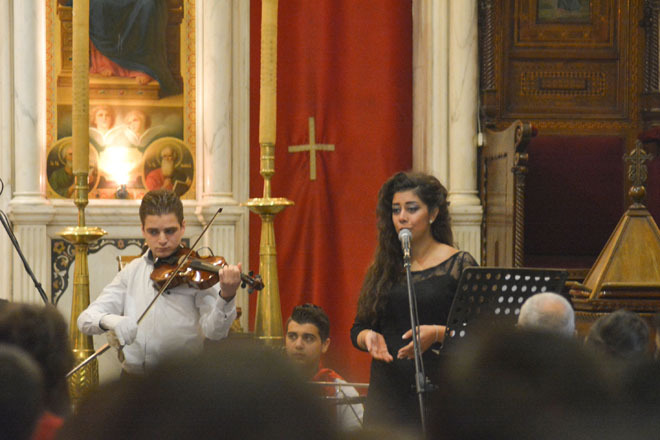 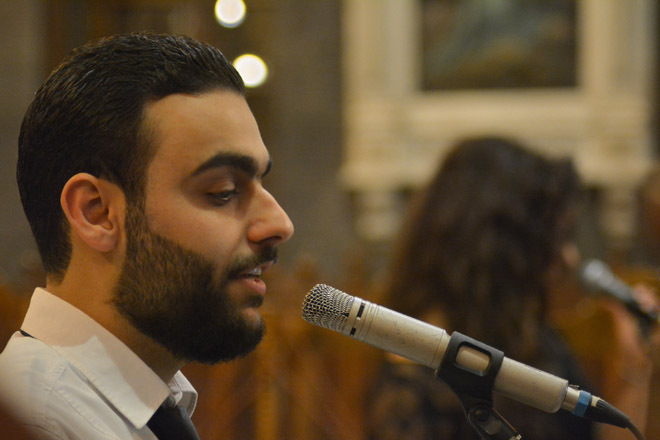 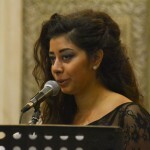 The festivity featured several Christmas hymns in Arabic and Syriac performed by Rita Tahaan and Rabe’a al-Sahwi. 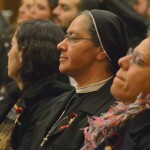 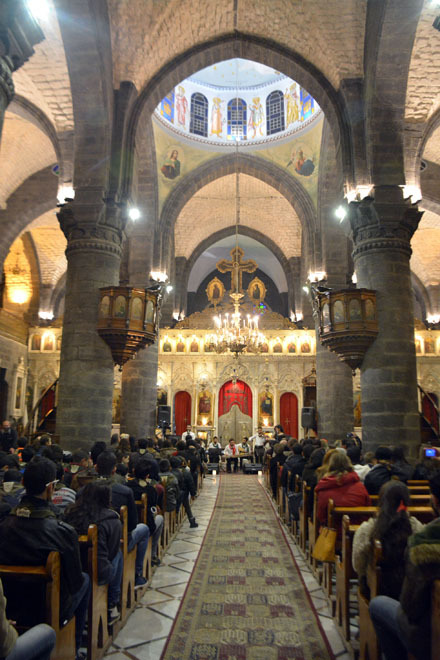 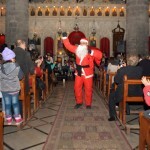 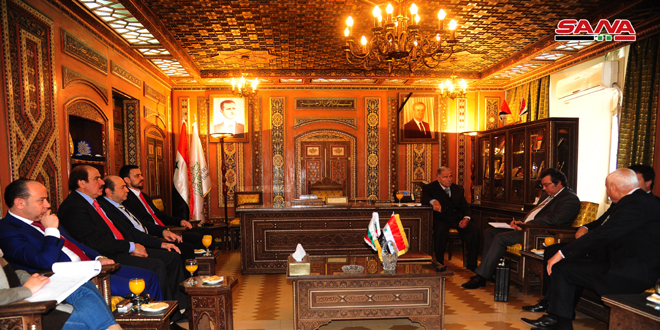 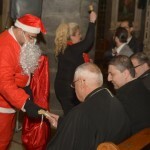 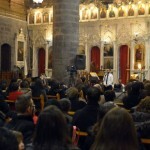 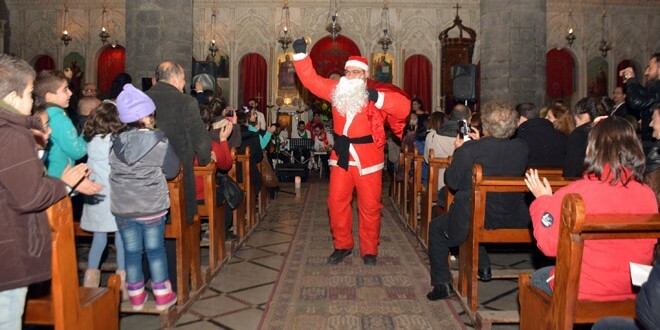 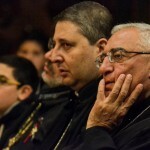 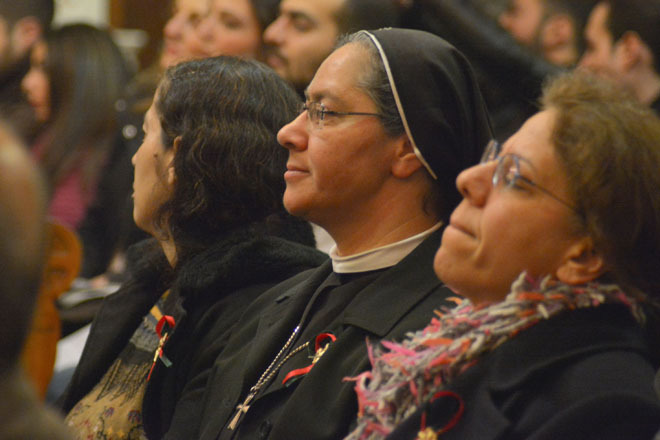 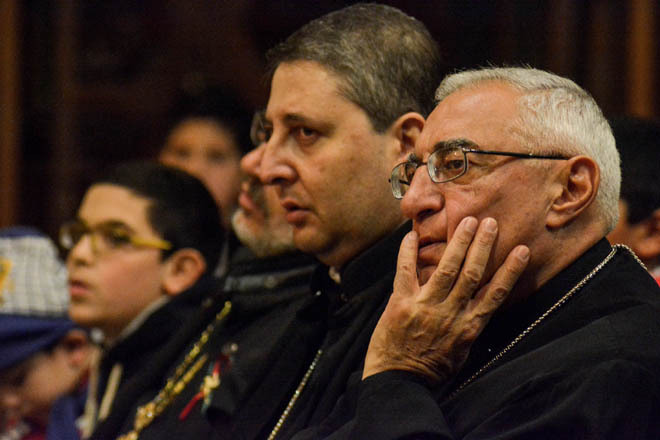 Father Gabriel Dawoord of St. George Cathedral in Damascus told SANA that the Patriarchate chose the title of the festivity because the message of Christmas is the message of peace which was brought by Jesus Christ to the world, and that this evening is a moment of peace, happiness, and love in a difficult time.